Přepisy úloh poslechu jarního didaktického testu 2018 poslouží ke kontrole poslechové části maturitního didaktického testu z angličtiny. Ideální pro finální ujištění se o správnosti odpovědi v poslechových úlohách. Přepis maturitního poslechu z angličtiny 2018 připravil exkluzivně Nový Amos. 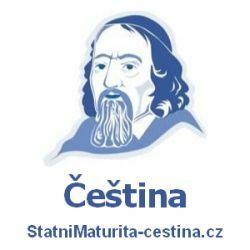 Maturitní přepis poslechu je rovněž skvělým učebním materiálem pro přípravu právě na ten váš ostrý termín maturity z AJ. 1. What does Tom’s father do? A: Hey Tina, I’m sorry but my father can’t take us to the cinema today. He had to go to the hospital. A: He got injured at work yesterday. There was a fire in the school laboratory. It took the firemen two hours to put it out. My father wanted to fight the fire too, and burned his arm. B: Oh god! Was anybody else hurt? A: Apart from him, no other teachers got hurt. But just to make sure, all of them were seen by a doctor. Only my dad was driven to the hospital. B: I’m sure everything is going to be okay. Will your father have to speak to the police? A: Actually, some policemen already interviewed him in the emergency room. B: Well, do you feel like going to the cinema then? A: Yeah, I’m fine. Let’s take a taxi for once. 2. What does Jenny look like now? A: I heard you have a new girlfriend. Who is she? B: Yeah, I do. And you know her! It’s Jenny, our classmate from primary school. I knew she’d always liked me when were kids, but I’ve never been into blonde girls with glasses. So when she asked me on a date two weeks ago, I didn’t expect much. But man, was I surprised! I had never seen her with dark or long hair before. She kept it short at primary school. Also, she told me she had her eyes fixed because she didn’t want to wear glasses. But that was six years ago, now she has to wear them again. But I don’t mind at all, as long as she doesn’t cut her hair short or become blonde again. Wait, we took a selfie on our second date, so I can show her to you. 3. What did the couple agree to do as the last activity on their trip? A: Hi Jaycee, I hope you’ve packed your swimsuit, because we’ll get to a lake on our hiking trip today, so we can have a swim. B: Don’t worry, I’ve packed everything. Even suncream and some food and drinks for our picnic. A: Great, we can have one by the lake then. B: So late? I thought we might eat earlier. How about lunch in a restaurant, and a bit of sunbathing near by two. A: We won’t have enough time to stop at a restaurant. But we can have a snack while walking. And don’t worry, you’ll get a nice tan while hiking in the sun all day anyway. No need to lie on a blanket. We can enjoy our picnic by the lake after a nice swim and watch the sun go down. B: Or, we can swim after the sun’s gone down, in the dark. That might be fun. A: It might, but I don’t like to swim with my stomach full. Let’s do it like I said and swim first. B: Okay, I agree. Now let’s go hiking! 4. What gift is the woman going to give Kevin this time? My friend Kevin has just moved in to a new flat. So, he invited me to his house- warming party. But this time, buying a gift for him is giving me a headache. In the past, I used to give my friends flowers and pots, but not everyone wants to take care of plants, do they? Recently, I started giving them electric kettles instead of plants. But, I already gave Kevin one three months ago. It’s the third time he’s moved this year, so I’ve also given him a woolen blanket to keep him warm, while watching TV. He hates cooking, so buying a kitchen mixer for him won’t be a good idea either. Well, I see I must return to my old habit of giving plants. Something green might be welcome in Kevin’s flat anyway. A: Hi Paul, thanks for coming. Mom phoned me about grandpa’s birthday party. She needs us to organize it. B: I know Kate. She doesn’t want there to be any problems with grandpa’s birthday party this time. Remember five years ago, when he was going to be 70? A: Yeah, it wasn’t prepared well. That’s why we need to do some organizing for his birthday this year. B: We do. So let’s decide on a place. Now, do you want to hire a garden restaurant like last year? Grandpa seemed to like the place. A: I know. But let’s invite everybody over to my place this year. It’s better than the restaurant we were at last year, and there’s a garden too. B: Agreed. Now, let’s discuss the cake. Mom thinks a lemon cake would be a better choice than the chocolate one we had last time. I dislike lemons, so I’d definitely order the one we had for the last birthday party. What do you think? A: Well, I know a cake belongs at a birthday party, and grandpa has always liked sweet things, but you know he can’t eat them anymore for health reasons. Others hardly touch sweets at parties and I’m on a diet. So why spend money on a cake again? Let’s buy some ice-cream for the kids and that’s it. B: I guess you’re right. A: Okay. Now, family photographs. Are you going to take care of it, Paul? B: Well, I could ask my colleague. He earns money by taking pictures of family events. You know, I photograph only buildings. I’m not sure I’d be able to take good pictures of people. A: Come on, Paul. You’re a great professional photographer. You can do this. B: Alright, alright. Thanks. No need to pay someone for something I can do myself for free, right? A: Right! It doesn’t have to be perfect. It’s the same with refreshments. Mom and dad have promised to prepare and take them to the party themselves. Why order them, that would be too expensive. B: So now, let’s decide on a present. A: Well, grandpa loves hiking around hills, lakes, and tiny villages. So I was thinking of putting him on an airplane, so that he could sit and watch all of those from above while flying. That’s the present I’d like us to buy for him. B: Wow, Kate, what a brilliant idea! Well, it looks like we’ve gone over everything. You know, people usually don’t enjoy family meetings. I guess if you have an annoying uncle, or cousin, it can be a nightmare. But grandpa is fun, grandma’s always cheerful, our parents tell funny stories, and when all of us meet, there’s no other place I’d rather be. A: Well said, Paul. Well said. So let’s call mom and tell her what we’ve agreed on. ČTĚTE TAKÉ: Jak zvládnout ústní maturitu z angličtiny na jedničku? ČTĚTE TAKÉ: Jak se u ústní maturity představit a udělat skvělý první dojem? 21. What did the woman like about her school trips the most? 22. Why is the man complaining? A: Oh dear, how many more paintings will we have to see before we go? B: We’re not even half way through the exhibition. A: Come on! That means we will be here until dinner. B: Oh, don’t start like that. It was your idea to go to a gallery. I’ll buy you a nice steak for dinner, after we leave. A: Stop talking about food, I’m still full from lunch. I’m not saying the paintings aren’t interesting, I’d really like to see them all. But I’m terribly exhausted. My legs are killing me. B: Okay, we can sit down and rest for a while. I’m thirsty, will you give me my bottle of water? A: Your bottle… Well, you know, I justify it in the hotel and mine is empty. I was thirsty too. B: Oh, that’s typical of you. 23. What is the main reason Amy stopped smoking? A: Hey Amy! I heard you stopped smoking. What made you stop? B: Hi Kate. Yeah, I stopped, but it was a difficult journey, let me tell you. When I was a smoker, I knew all the unpleasant things about smoking. Like bad breath and the high price, but that didn’t prevent me from doing it. Not even the people at work who looked at me every time I justify to have a cigarette. They thought I was wasting time. I complained about them to my new boyfriend, but he didn’t support me. I knew he wasn’t happy about the damage I was doing to my health, and to my purse. And to be honest, breathing began to be a little difficult for me. But I would never have given up smoking if my boyfriend hadn’t asked me to do so. He’s very proud that I stopped. Saving money and better health are just extra benefits. 24. Why did the couple decide to eat out today? A: Honey, I went shopping for food but I forgot to buy tomatoes. Can you buy some on your way home from work? And maybe a bottle of white wine. I don’t think there is any justify in the fridge. B: Yeah, listen. I forgot to tell you, but I won’t be able to leave the office until seven today. I know how much you enjoy trying new recipes, but it would be quicker to eat out today, so we can make it to the cinema by 8:30 as we’ve planned. We wouldn’t manage that with eating at home. A: Well, you’re right. You know what? Let’s meet at the Italian restaurant next to the cinema at 7:30. Have a glass of wine and pizza there. B: You’re great. I love you. See you there.